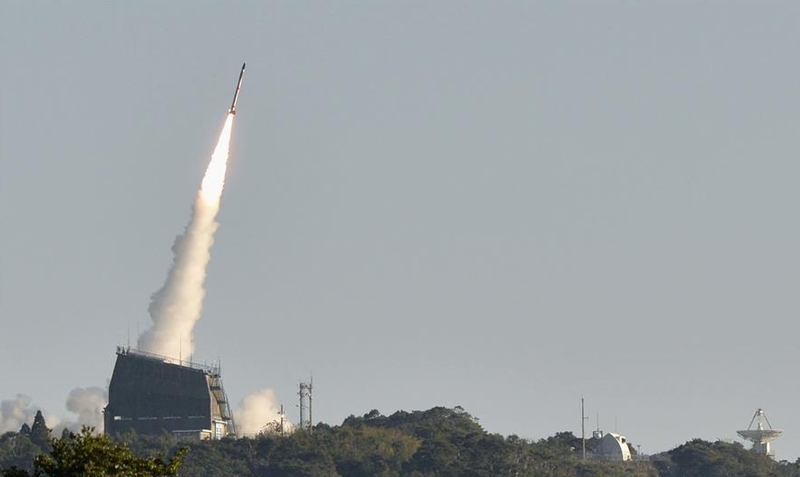 Japan conducted the launch of a miniature satellite via a modified SS-520 sounding rocket Saturday, a little over a year after its first attempt failed to achieve orbit. Liftoff, from the Uchinoura Space Centre, occurred at the opening of a ten-minute window at 14:03 local time (05:03 UTC). Saturday’s experimental launch has now been classed as successful, meaning the SS-520 has become the smallest rocket ever to place a satellite into orbit. Its payload, TRICOM-1R, is a three-unit CubeSat with a mass of just three kilograms (7 lb). The satellite was a re-flight of the TRICOM-1 mission, which was lost in SS-520’s failure last year. The SS-520 was designed to be used as a sounding rocket, carrying research payloads into space on suborbital missions to altitudes of over 800 kilometers (500 miles, 430 nautical miles). It is a two-stage vehicle, consisting of an S-520 booster and a smaller second stage, but for Saturday’s launch – as it did for its first orbital launch attempt last year – the rocket flew with a small additional third stage mounted inside its nose cone. 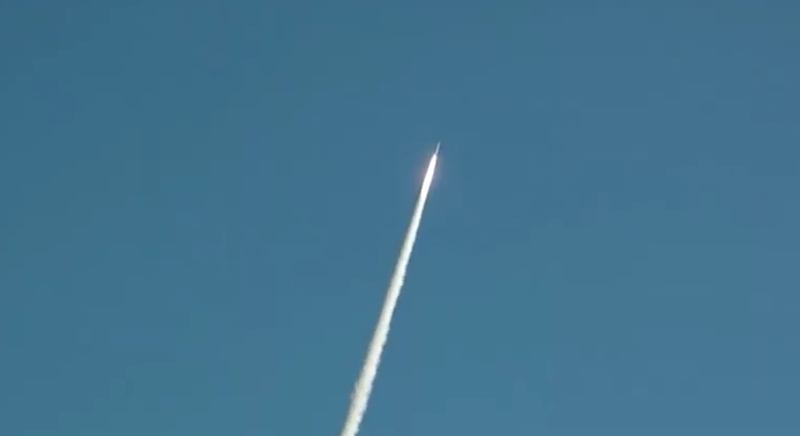 Saturday’s launch was the SS-520’s fourth flight. It first flew on 5 February 1998, before carrying out an ionospheric research mission from Ny-Ålesund, Svalbard, in December 2000. Following that mission, SS-520 would not fly again until last year’s orbital mission. The S-520, upon which the SS-520 is based, has made thirty launches since it was introduced in 1980, the most recent in 2015. The SS-520’s original attempt to reach orbit was made at 08:33 local time on 15 January last year (23:33 UTC on 14 January), using vehicle SS-520-4. Twenty seconds after liftoff, all telemetry from the rocket was lost, which prevented its performance through the remainder of the first stage’s burn and the ascent to space being monitored. As a safety feature, SS-520 requires that a command be uplinked to enable second stage ignition during the preceding coast phase. This command was not issued, and the rocket was allowed to fall into the ocean in the designated first stage drop zone. A month after the failure, the Japan Aerospace Exploration Agency (JAXA) published the results of an investigation which determined that an electrical problem was the most likely cause of the loss of telemetry. Cables passing from within the body of the second stage into an external duct were found to have inadequate protection, which appeared to have led to a short-circuit. The SS-520-4 mission was intended to be a one-off demonstration flight, however JAXA announced that plans for another attempt were underway around the same time that the failure report was published. Saturday’s launch used the same rocket configuration as last year’s launch, with flight number SS-520-5. The launch took place from a rail launcher the KS Centre launch complex of JAXA’s Uchinoura Space Centre. The KS Centre is primarily used for suborbital launches of S-310, S-520 and SS-520 sounding rockets. Historically, it was the site of Japan’s first orbital launch attempts – made by five Lambda-4S rockets between September 1966 and February 1970 – which concluded with the successful deployment of the country’s first satellite, Osumi. The complex was also used by Kappa, Lambda and MT-135 sounding rockets. The KS Centre consists of an integration building and launch dome, a permanent rail launcher outside of the dome, and a concrete area that can be used by mobile launcher trucks. SS-520-5 will use the launch rail, which was added to the complex between 2012 and 2014 and first used by an S-520 rocket in August 2014. All three stages of the SS-520 vehicle burn solid propellant. The first stage, the S-520, carries 1,587 kilograms (3,499 lb) of propellant, the second stage carries 325 kg (717 lb) and the third stage 78 kg (172 lb). The overall vehicle is 9.54 meters (31.3 feet) long, with a diameter of 52 centimeters (1.71 feet) and a total mass of about 2,600 kilograms (5,700 lb) at launch. If it completes its mission successfully, SS-520 will become the smallest rocket ever to deliver a payload to orbit. The only smaller rocket to have attempted a launch to orbit – the US Navy’s NOTS-EV-1, or Pilot – failed during all ten of its launches in 1958. When it launched on Saturday, the SS-520 was expected to take less than four and a half minutes to reach orbit, with spacecraft separation timed for seven and a half minutes after liftoff. The rocket’s first stage ignited at the zero mark in Saturday’s countdown – designated X-0 for Japanese launches – and SS-520 left its rail to begin its climb towards orbit. The rocket is spin-stabilized; as it ascends through the atmosphere fins at the base of the first stage impart a rolling motion which helps it to stay pointing in the correct direction. Like most sounding rockets, SS-520’s initial ascent was rapid. The first stage burned for 31.7 seconds, during which time the vehicle reached an altitude of 26 kilometers (16 miles, 14 nautical miles) and a velocity of 2.0 kilometers per second (1.2 miles per second). After burnout the rocket coasted towards the apogee of its trajectory, shedding its nose cone 67 seconds into flight and the spent first stage one second later. The interstage between the first and second stages houses rhumb line thrusters, which fire pulses timed to re-orient the rocket while it is still spinning. The thrusters began pulsing two and a half seconds after stage separation, and fire over a period of 47.1 seconds. Two minutes and 27 seconds into the flight – about half a minute after the thrusters have finished firing – the interstage will have jettisoned. Two minutes and 37 seconds after liftoff, a check of the vehicle’s status will have been conducted. This serves two purposes: to ensure that the rocket is in good health and able to continue to orbit, and to determine the optimal time for second stage ignition. If the mission was continuing to plan, a command to enable second stage ignition and a revised ignition time will have been transmitted to the vehicle seven seconds later. Should it have been necessary to terminate the launch this command will not have been sent to the rocket, which prevents the second stage from igniting and the rocket would then fall into the drop zone that had been reserved for the first stage. The exact timing of second stage ignition depends on the vehicle’s trajectory when the status check is undertaken, however the burn would have begun at around the three-minute mark in the flight and lasted for 24.4 seconds. After the burn ended, the second stage will have remained attached for about 30 seconds before it separated, with third stage ignition taking place three seconds after separation. The third stage burn is for 25.6 seconds, injecting itself and TRICOM-1R into orbit. The SS-520 was expected to reach an orbit of approximately 180 by 1,500 kilometers (112 by 932 miles, 97 by 810 nautical miles), with inclination of 31 degrees. TRICOM-1R was to separate from the SS-520’s third stage seven minutes and thirty seconds after liftoff. Unusually for a CubeSat, TRICOM-1R does not use a deployment pod and separates directly from the rocket’s upper stage. TRICOM-1R carries a store-and-forward communications payload and five small cameras that will return images of the Earth. 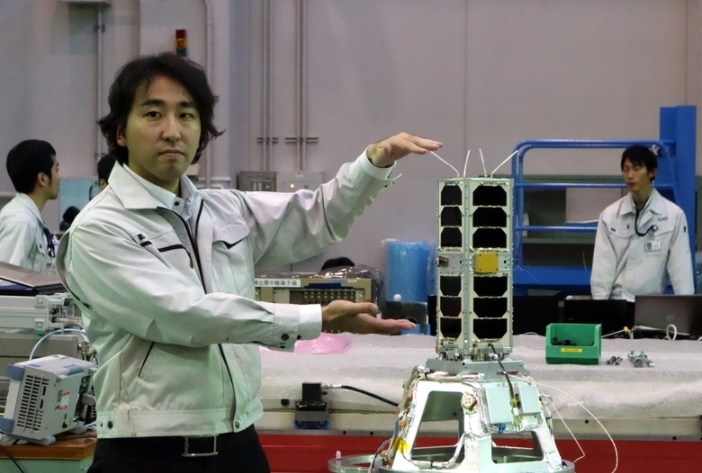 The satellite was built by the University of Tokyo and was designed around the three-unit (3U) CubeSat form factor, although it is slightly larger than a standard 3U satellite due to its deployment mechanism and communications antennae. The satellite measures 11.1 by 11.1 by 34.6 centimeters (4.6 x 4.6 x 13.6 inches), including its antennae. Japan has not announced plans for any further orbital launches with the SS-520 – and last year’s launch was originally intended to have been a one-off, but project is an experiment which JAXA and the Japanese space industry hope will lead to an operational nanosatellite launch system in the future. This is one of many rockets currently being developed worldwide to carry small satellites into orbit, and Saturday’s launch comes a fortnight after Rocket Lab’s Electron rocket reached orbit successfully on its second test flight. SS-520’s next launch will be a suborbital ionospheric research mission, launching from Svalbard. 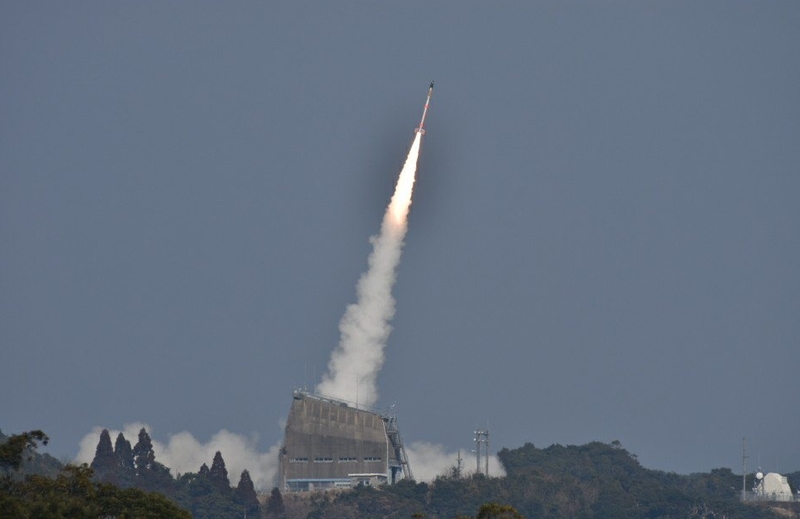 The TRICOM-1R launch was Japan’s second of 2018, following a successful launch of an Epsilon rocket from Uchinoura last month. These are the only launches planned from Uchinoura this year. 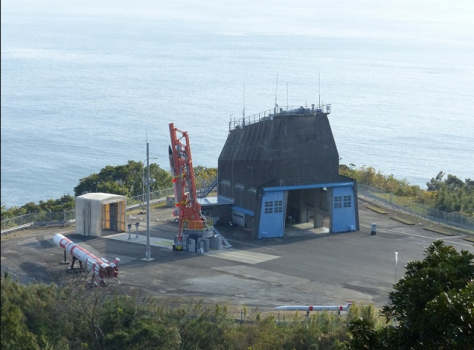 Japan’s next orbital launch will take place from the Tanegashima Space Centre on 25 February, with an H-IIA deploying an IGS reconnaissance satellite.